Let’s have a moment to go through each of the finalist’s profiles, and then you decide if they deserve to win the desired grand prize of a thirty-second spot during Super Bowl 2014.Of course, everyone is encouraged to visit www.smallbusinessbiggame.com and vote. Here are the small businesses competing for the big game event commercial spot. This innovative toy maker is based in Oakland, CA that is more than just a clever name. The company designs “construction” toys specifically designed to spark the interests of young girls in engineering. The company envisions to help reduce the significant imbalance between men and women in the field of engineering, and encourage little girls to be more than just “a princess,” but rather to follow whatever dreams they have, and to play with any type of toys they wish. For the past 100 years, construction toys have inspired young boys to be thinkers, builders, and inventors. Goldieblox was created in the belief that very girl can be more than just a princess, despite what the pink aisle tells them. In less than a year, the company has developed home-made prototypes to the shelves of Toys R Us. In order to be next in line to Barbie, the company urges to disrupt the pink aisle. According to Founder/Chief Officer of Fun, Debbie Sterling, if we win we've got a group of 6 year old girls ready to rush the end zone. This Durham, NC, company is sure to be a hit with everyone in the family, especially their canine members. The company turns leftover grain used to brew beer into creating tasty, nutritious treats for dogs. The company is both incredibly eco-friendly, using materials that would otherwise be discarded, and that they donate 10% of their profits to animal shelters. Barley Labs dog treats come in three flavors (peanut butter, pumpkin and cheese) and are available online and in retailers throughout North Carolina. Learn more at www.barleylabs.com. With their base of operations in Duluthm, MN, this farm produces only the finest eggs by using only the finest hens raised using the highest standard of methods. This means that they don’t use genetically enhanced organisms in the field, sufficient pastureland for the hens to graze freely, and fresh eggs are distributed locally. If all those little qualifying factors that used to be skimmed over on the top of the egg carton seem unimportant to you, watching their ad can have anyone wondering whether or not the eggs’ hens were “athletic” or not. A suburban-raised, a guy in his 40swith a backyard full of chickens gets his position eliminated – twice. For that reason, he opened up his own pasture-raised egg company. He aims to produce Real Food while treating birds and the planet well. Now, thousands of his hens exercise and forage on pasture freely. Why is it important to have an athletic chicken who eats salad? The hens will give the eggs with less cholesterol & fat, and more of the good stuff, like protein. Now the sassy startup is a success! Locally Laid is opening new farms across the Midwest & plants a tree with every delivery. The company stand by our tagline: Local Chicks are Better. Yeah, like mentioned earlier, these guys are the essence of a genuine cottage-industry style small business. In fact, they are about as far from Big Corporate as you can get. From Nampa, ID, comes… poop… Or rather POOP – Natural Dairy Compost. The company offers a wonderfully effective, all-natural fertilizer great for your lawn, garden, flower pots and more. The only thing you have to do is accept that it is 100% grade cow Poo. POOP in a bag? Yep, that's where it all began! Two guys were just sitting in a craft brewery discussing a new small business idea. Well, it all started out as a conversation about screening dairy compost and bagging it for retail sales. However, who would have thought that 5 minutes of discussion and there was the name... POOP - Natural Dairy Compost – and that is literal POOP! Many months later, the founders have a great "green", sustainable product for lawns, gardens and flower beds. Presently, they’ve even added a line of merchandise to represent POOP everywhere! Who would have thought that a few guys who dreamt of poop pull off such a business. The small Business Big Game contest began on July 31, earlier this year. Tens of thousands of small businesses have joined the competition for the chance to win more than $25 million in rewards and offers to help them succeed in their business. Then the field was narrowed to just 20 that Intuit's 8,000 employees around the globe voted on to determine the top four finalists. Now through Dec. 1, anyone can visit www.SmallBusinessBigGame.com to cast a vote for the business they want to make it to the end zone this February. Free, lifetime use of Intuit small business solutions, including Intuit QuickBooks, payroll and payments. Professionally produced advertising for their business. A meeting and business advice from entrepreneur and reality star, Bill Rancic. An all-expense paid trip to New York for a big game viewing party held in their honor. 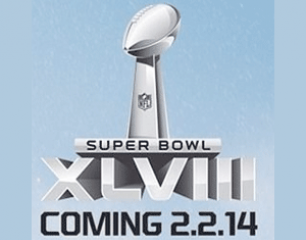 The Super Bowl 2014 event will be aired LIVE on February 2, 2014 from MetLife Stadium in East Rutherford, N.J. Fox Sports will be charging around $4 million for each 30-second spot who is not included in Intuit’s SmallBusinessBigGame contest.